Phygure®’s latest issues is now live for viewing! This marks the 10th release of Phygure® since we started this community-driven project late last year. 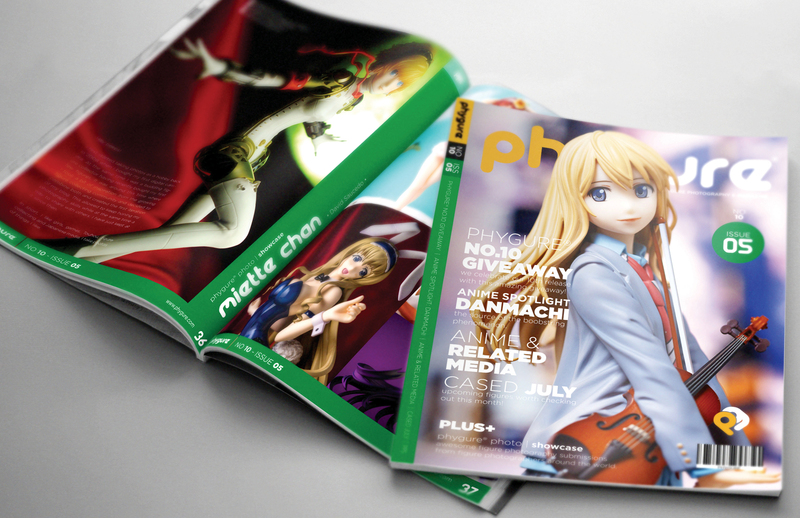 Phygure® No.10 Issue 05 will showcase yet another set of 12 talented individuals and their awesome figure photography work. We are also giving away a Nendoroid to celebrate our 10th release and it’s all detailed in this post. Enjoy Issue 05 and see you all on Issue 06! EDIT: Seems like Apple is taking a bit of time when it comes to publishing new issues. Will update this post once Issue 05 is live on iBooks store. You can still check this latest issue via Kobo using their reader app available on the app store. EDIT: Phygure® No.10 Issue 05 is now live on Apple iBooks!